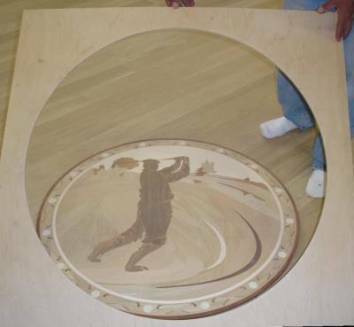 Templates are used as a guide to insert medallions into hardwood floors. They are temporarily attached or pin nailed into the floor itself. A router is then used to cut the design perimeter into the floor. Shown is an unfinished "Golfer 2" medallion; product #M933.